Travel to Brazil and you will find an amazing array of street food, some of which is also sold indoors as bar food as well as outdoors from street vendors. One of those foods is the pastel, which look quite similar to an empanada or calzone. It’s often filled with minced beef, chicken, hearts of palm or prawns, but the creativity doesn’t end there. Many places that serve pastels include other fillings to suit people’s palates such as ham, salt-cured beef, or even a vegetarian-style pastel that simply contains four cheeses. The actual history of the pastel is a bit vague and murky, but the most popular version of how this delectable street treat came to be stems from a Portuguese roll that looks quite similar to a Chinese spring roll. It is said that in the 1920s, Chinese immigrants ‘propagated’ the spread of what we know as the pastel, and interestingly enough, it is the Chinese and Japanese immigrants living in Brazil that set up shop selling pastels. Now, especially in Sao Paulo, there is a contest to determine who can make the best street pastel, and the smell of the pastels so permeate the area markets that you can’t help but try one. Now, if you’re worried about eating a few too many and gaining a bit of weight, you can either walk off your pastels or better yet, dance it all off with a booty-shaking samba later at night. Can I Make Homemade Pastels? If you’re not keen on making your own pastel dough, that’s also perfectly fine. Just use won-ton wrappers. They’re just as thin as the pastel rounds you’d ordinarily be making and they crisp up the way pastel dough would. Just know that, whether you make your own dough, or use won-ton wrappers, that less is more when filling your pastels, as you don’t want them to burst open whilst in the cooking oil and lose all that delicious filling. Pastels are not just about savoury flavours, either. You can get sweet fillings as well. If you’re in Rio and have a craving for a sweet pastel, go simple, and try one with guava paste and Minas cheese. This combination is commonly known as ‘Romeo and Juliet,’ and it’s one of the most common sweet pastel fillings you’re likely to find whilst in Rio or Sao Paulo. 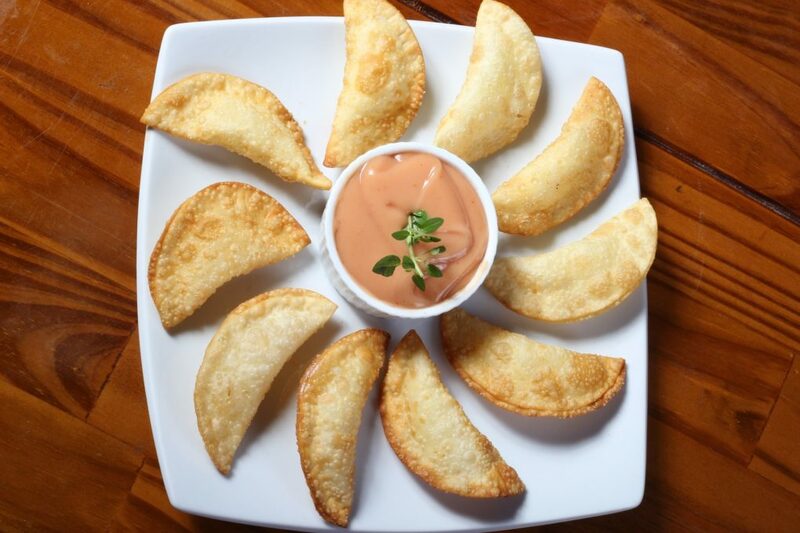 So whether you have the large pastels from the street vendors, or the little pasteis in the pastelarias, you’re sure to find a version of this popular Brazilian food that hits the spot for you and fills you up nicely. Previous post Brazilian Smoked Chorizo: Just Yummy!